Update: Windows 10 build 17618 is now available for download. The new build comes with bug fixes and improvements. Windows 10 Build 17618 ISO files will be available later. Check out more details below. Update 2: Windows 10 build 17618 ISOs are now available for download. Sets: Sets is designed to make sure that everything related to your task: relevant webpages, research documents, necessary files, and applications, is connected and available to you in one click. Starting today in RS5 builds, we have turned the Sets experiment back on so any Insider who has opted into Skip Ahead will be able to try out Sets. With Sets, 1st party experiences like Mail, Calendar, OneNote, MSN News, Windows and Microsoft Edge become more integrated to create a seamless experience, so you can get back to what’s important and be productive, recapturing that moment, saving time – we believe that’s the true value of Sets. Additional app integration with Sets is expected over time. There are two issues impacting the usability of Windows Mixed Reality on this build. Windows Mixed Reality runs at a very low frame rate (8-10fps) that could result in some physical discomfort. And there are multiple crashes at startup that will cause Windows Mixed Reality to not work. For Insiders who want to keep Windows Mixed Reality working – you might want to consider hitting pause on taking new Insider Preview builds until these issues are fixed. You can pause Insider Preview builds by going to Settings > Update & Security > Windows Insider Program and pressing the “Stop Insider Preview builds” button and choosing “Pause updates for a bit”. We fixed an issue resulting in 3 and 4 finger gestures on the touchpad being unresponsive in the last two flights. We fixed an issue that could result in UWP apps sometimes launching as small white rectangular boxes. We fixed an issue where the Settings tile didn’t have a name if you pinned it to Start. We fixed an issue where navigating to Themes Settings crashed Settings. We fixed a typo in Storage Sense Settings. We fixed an issue resulting in all dropdowns in Settings appearing blank until clicked. We fixed an issue that could result in Settings crashing after having navigated to and left Sound Settings. We fixed an issue that could result in the labels for files on the desktop overlapping their icons. We fixed an issue resulting in the hamburger button in Windows Defender overlapping the home button. We’ve updated Start so that it now follows the new Ease of Access setting to enable or disable hiding scrollbars. We’ve updated the Action Center so that notifications will now appear with a fade in animation when you open it. We’ve updated the new notification to fix blurry apps so that it now will persist in the Action Center to be accessed later once the toast has timed out and dismissed. We fixed an issue resulting in some app icons appearing distorted in Task View. We fixed an issue where making a pinch gesture over the open apps in Task View might result in no longer being able to scroll down to Timeline. We fixed an issue where pressing and holding on a card in Timeline would open the corresponding app, rather than bringing up a context menu. We fixed an issue resulting in the title bar overlapping content when you opened your lists in Cortana’s notebook. We fixed an issue resulting in the Windows Defender offline scan not working in recent builds. We fixed an issue where the Japanese IME sometimes wouldn’t turn on correctly. We fixed an issue where the floating dictation UI could be unexpectedly tiny. We fixed an issue where the touch keyboard might stop invoking automatically after locking the PC and then unlocking the PC by using the touch keyboard to enter your PIN or password. We fixed an issue where the touch keyboard number pad would show the period as a decimal separator for countries that use the comma as a decimal separator. We fixed an issue resulting in not being able to turn on and off third-party IMEs using the touch keyboard. We fixed an issue resulting in numbers not being inserted when flicking up on the top row of letters in the wide touch keyboard layout. We fixed an issue where plugging in an external optical drive (DVD) would cause an Explorer.exe crash. We fixed an issue resulting in DirectAccess not working in recent builds, where the connection would be stuck with status “Connecting”. We fixed an issue where all apps in Task Manager’s Startup tab had the status “0 suspended”. We fixed an issue where after upgrading your speaker volume might change to 67%. We’ve updated Microsoft Edge’s Hub to now have an acrylic navigation pane. We fixed an issue where it wasn’t possible to open a new inPrivate window of Microsoft Edge from the taskbar jumplist while in Tablet Mode. We fixed an issue where dragging a Microsoft Edge tab out of the window and releasing hold of it somewhere over the desktop might periodically result in a stuck invisible window. We fixed an issue where the keyboard combo to switch Virtual Desktops didn’t work if Microsoft Edge was open on multiple Virtual Desktops and focus was on the web content. We fixed an issue that could result in tabs hanging and not loading content recently in Microsoft Edge after using the browser for a few days with an adblocker enabled. We fixed an issue where clicking to zoom in on an image in Microsoft Edge would zoom into the top left corner rather than the area where you’d clicked. We fixed an issue from the last few flights where Microsoft Edge might crash if you refreshed a window with a PDF open in it. We fixed an issue in Microsoft Edge where favicons in light theme were unexpectedly getting black backgrounds. We fixed an issue where the buttons on Game bar were not centered correctly. We fixed an issue where in some games—such as Destiny 2 and Fortnite—mouse and keyboard input would still go to the game while Game bar was open. We fixed an issue where keyboard and mouse input might not work correctly in Game bar when playing a first-person game (e.g. Minecraft). We fixed an issue in the text box for Mixer stream title, using non-character keys (e.g. Tab, Delete, Backspace, etc.) might cause the game to hang for a few seconds. We fixed an issue where bringing up Game bar using the Xbox button on an Xbox One controller didn’t work in some games. We fixed an issue where certain games using Easy Anti Cheat could result in the system experiencing a bugcheck (KMODE_EXCEPTION_NOT_HANDLED). We fixed an issue where we had observed seeing longer-than-normal delays during install at the 88% mark. Some delays were as long as 90 minutes before moving forward. We fixed an issue in apps like Movies & TV where if you deny consent to access your library it crashes the app. We fixed an issue where on post-install at the first user-prompted reboot or shutdown, a small number of devices would experience a scenario wherein the OS fails to load properly and may enter a reboot loop state. We fixed an issue where selecting a notification after taking a screenshot or game clip opens the Xbox app’s home screen instead of opening the screenshot or game clip. We fixed an issue where tearing a PDF tab in Microsoft Edge will result in a bugcheck (GSOD). IMPORTANT: The Microsoft Store may be completely broken or disappeared altogether after upgrading to this build. Please see this forum post for details including a workaround on how to get the Microsoft Store back. If you open Settings and clicking on any links to the Microsoft Store or links in tips, Settings will crash. This includes the links to get themes and fonts from the Microsoft Store. If you try to open a file that is available online-only from OneDrive that hasn’t been previously downloaded to your PC (marked with a green checkmark in File Explorer), your PC could bugcheck (GSOD). You can work around this problem by right-clicking on these files and selecting “Always keep on this device.” Any file-on-demand from OneDrive that is already downloaded to the PC should open fine. Original Story: Microsoft is now testing Windows 10 build 17618 internally. 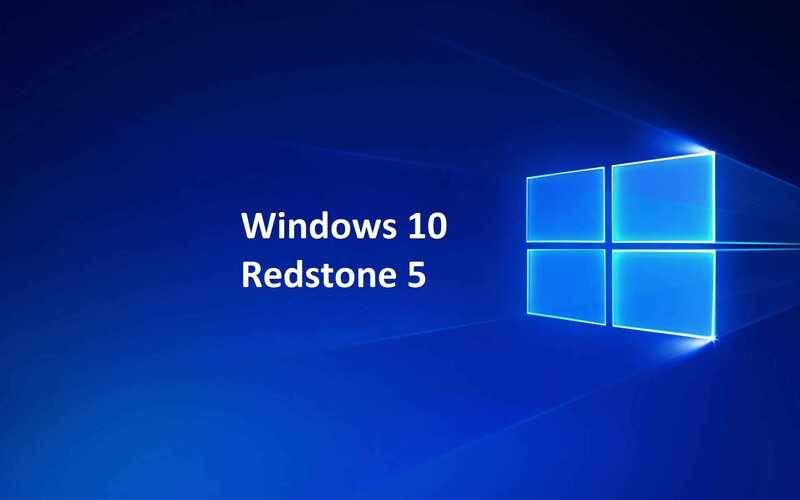 The new Windows 10 Redstone 5 build 17618 (10.0.17618.1000 rs_prerelease.180302-1651) was compiled on March 02, 2018. Recently, build 17617 was also compiled. Windows 10 Spring Update preview build 17112 is now available for Insiders. The new build comes with various bug fixes and improvements. However, there are two issues with the Windows Mixed Reality on this build. Windows Mixed Reality runs at a very low frame rate (8-10fps) that could result in some physical discomfort and there are multiple crashes at startup that will cause Windows Mixed Reality to not work. Previously, RS5 build 17604 was released for Skip ahead insiders. The ISO files for Windows 10 build 17112 are also now available for download. You can download it from the link below.